High schooler Nanami Momozono has quite a few problems of late, beginning with her absentee father being in such extreme debt that they lose everything. Downtrodden and homeless, she runs into a man being harassed by a dog. After helping him, she explains her situation, and to her surprise, he offers her his home in gratitude. 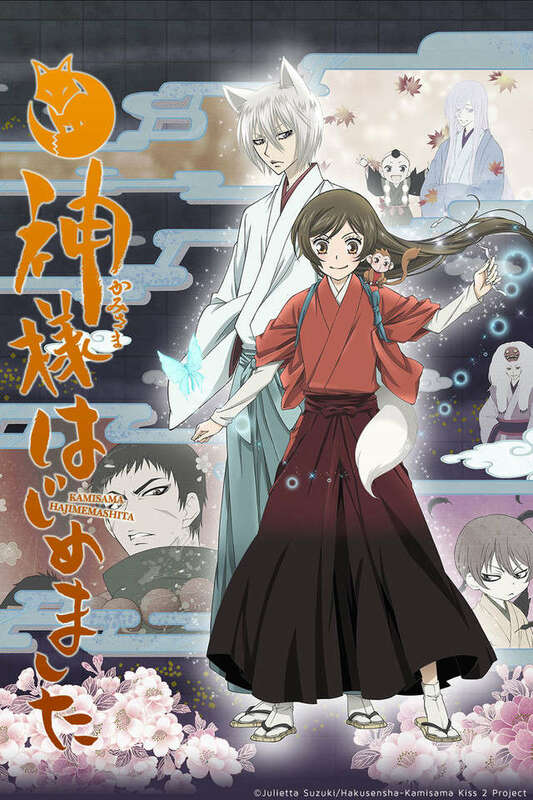 But when she discovers that said home is a rundown shrine, she tries to leave; however, she is caught by two shrine spirits and a fox familiar named Tomoe. They mistake her for the man Nanami rescued—the land god of the shrine, Mikage. Realizing that Mikage must have sent her there as a replacement god, Tomoe leaves abruptly, refusing to serve a human. Rather than going back to being homeless, Nanami immerses herself in her divine duties. But if she must keep things running smoothly, she will need the help of a certain hot-headed fox. In her fumbling attempt to seek out Tomoe, she lands in trouble and ends up sealing a contract with him. Now the two must traverse the path of godhood together as god and familiar; but it will not be easy, for new threats arise in the form of a youkai who wants to devour the girl, a snake that wants to marry her, and Nanami's own unexpected feelings for her new familiar.